This newsletter informs you once a week about the latest news in technology and products as well as technical know-how like white papers, webinars, articles, etc. from AspenCore’s media, including EETimes, EDN, Electronic Products, EEWeb, Electronics-Know-how and many more. If you are someone who needs to modify a power supply for pretty much any reason, Arrow in co-operation with electronics-tutorials.ws has put together for you a series of five informative video tutorials. These tutorial are for all who aren't necessarily Electronics Engineers, but want to learn more about test and use of power supplies. View part 1 of this tutorial now. Apple launched three new iPhones packed with upgrades to processing power, display technology and new capabilities such as wireless charging, including a new flagship 10th anniversary iPhone that carries a sticker price starting at $999. The new flagship iPhone, iPhone X (pronounced 10) as well as the iPhone 8 and iPhone 8 Plus are powered by Apple's new custom A11 Bionic chip. In Part 2, we obtained the closed-loop transfer function, and analyzed bandwidth and step response. In this part, we will continue analyzing other dynamic behaviors. So far, we have only been analyzing the system using a linear model. However, the LED of the optocoupler is a very non-linear component. When incorporated into a dependable, compact PowerCool thermoelectric assembly (TEA), Laird’s SR-54 Series programmable temperature microcontroller delivers integrated, customizable and precise temperature control in critical equipment including CO2 Incubators. This cooling system features built-in monitoring and closed loop feedback control intelligence to monitor and protect incubators, ensuring maximum uptime and performance. NXP Semiconductors is at the Frankfurt Motor Show this week to unveil the company’s new single-chip DSRC (Dedicated Short Range Communications) modem for vehicle-to-everything (V2X) communication and NXP’s partnership agreement with Germany’s Hella Aglaia to create a “scalable, functionally safe, AI-ready” open vision platform. In this webinar we discuss three TI reference designs that help designers create smart technology that can be integrated into smart home ecosystems. These designs are easy to retrofit into existing homes. This webinar will show how the Ada language can help you design, implement and verify embedded software that will be reliable, safe and secure, while still meeting its performance requirements. Arrow’s Motor Control Solution Seminar is aiming to give a broad overview about the best and newest solution for the motor control market, encompassing all the technological aspects. You will be able to attend the presentation slots from suppliers and to discuss the solutions and go deeper talking during the supplier showcase. EE Times will shine a spotlight on "women in tech" in our special edition, illustrating the technical achievements, leadership and integrity demonstrated by female engineers and scientists. 5G is widely considered a mobile technology that won’t be available until perhaps 2020 or 2021, and even then, not widely. But, as mobile data traffic continues to grow (18-fold over the past 5 years), we’re marching towards the need for 5G speed quicker than ever. Wide Band Gap Semiconductors will be in the focus of our Power Electronics Conference on the 5th of December 2017 in the Hilton Hotel at Munich Airport. Wide Band Gap Devices have been taken over more and more of historically served areas of silicon devices within the last years. 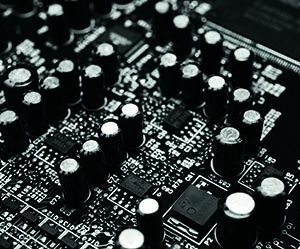 The Conference is a great place to meet Experts and share expertise to taking down boarders and overcome hesitation using these new semiconductors. Formula E racing is running on 10 different city streets worldwide. When the announcer says, “Gentlemen, start your engines”, maybe a soft click along with the squeal of tires may be heard, but essentially there is no engine “roar” or any odor of high octane fuel in the air as powerful electric engines fire up on the track. This webinar will show how advanced magnetic components help to realize product safety, reliability and high performance for the evolving electric vehicle charging infrastructure. The focus will be on all relevant EV charging modes covering AC charging via IC-CPD or wall box (Modes 2 & 3), as well as DC fast charging (Mode 4) and Inductive charging. In this webinar, we present you the new CoolSiC MOSFET technology which is enabling radically new product designs and offering a series of advantages compared to the tradtional Si based switches. In this webinar you will learn more about the features and benefits CoolSiC MOSFET products are providing. Embedded software developers normally are applying defect prevention techniques early in the lifecycle. But the demand for IoT requires a new testing paradigm that more closely resembles the challenges that Enterprise IT have faced for decades.